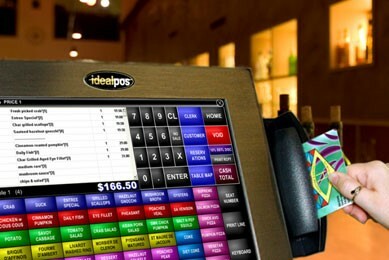 Idealpos built-in customer loyalty is extremely versatile, allowing you to choose which POS terminals offer loyalty. For example, you can reward customers by giving them points per dollar at the bar, but not in the bistro. You can set how many points per dollar you will issue for a sale, and a point redemption value. So if you offered 1 point per dollar, and a redemption value of 10c, this is the equivalent of offering a 10% discount. Points can also be offered on specific items that might be part of a promotion. Customer Loyalty can also be offered to your customers by using other features in Idealpos such as Promotions, Customer Rewards, Customer Type Incentives and Coupon Promotions.